924Board.org :: View topic - If you were going to make a 924 autocross car? Posted: Fri Jun 10, 2016 2:08 am Post subject: If you were going to make a 924 autocross car? Considering SCCA Solo D Prepared for a stripped down 924 NA (931 and 924S class FP, don't want to go there). What would be the best production year to look for? Desirable options aren't really that important as Prepared classes give a lot of latitude for suspension and chassis. One is stuck with the 2.0L Audi block and intake method. What do you think gents? From someone who has turned a road going car into to a 100% racer, buy the latest model and best condition car you can afford that fits into your class rules. Good advice Daniel. Wasn't there an ignition change from early to later 924 NA? 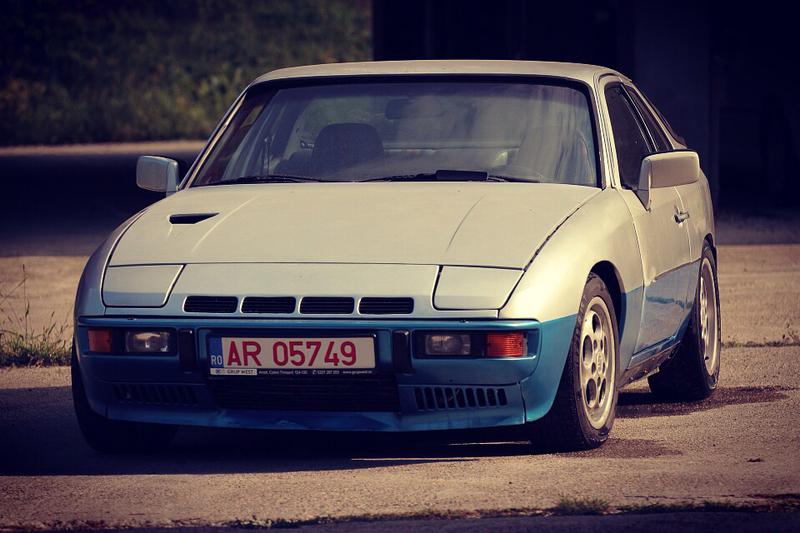 Get the latest 924 you can get your hands on. And the 924S classes in F Prepared (with 914/6... no way). In DP the 4-valve per cylinder Miatas are currently dominating the class with one highly prepared 1st gen. MR2 nipping at their heels. 2-valve per cylinder cars have a 10% over-bore allowance but there's a one-to-one weight factor so a stock displacement 924 would have to weigh 1984 lbs. The only advantage I can see for 924 is balance and handling. I am doing it with mine, but kind of a different thing as I don't want to sacrifice streetability and no SCCA rules. I just wanted something cheap to run that handled well, was actually probably more leaning towards an X1/9 but in the less populous midwest you take what you can get, and the 924 does have its charms. Anyway, I upgraded to sports suspension spec, 23mm front bar, 14mm rear, new shocks and struts, summer performance tires. The well driven Miatas, stock or nearly so, we're still much quicker than me. Some of it may be the driver. I have to say I read the driving position isn't that great, and I am usually not that sensitive to that kind of thing, but I do have to have my knees up against the wheel to be able to depress the pedals with full reach and confidence. I got the Porsche optional sport wheel hoping it would be smaller, it is not, maybe it has a deeper dish. With some suspension adjustments and new front bushings I am hoping to do a little better next time. Good luck hope some of the information/experience may be of some help. The key is not the size of the steering wheel, the key is to have a spacer or deep dish wheel. That makes an immense difference on driving position and knee space. Autox is a lot of driving technique, maybe you could get an expert in the passenger seat to help out a bit. And of course, widest and stickiest tyres is essential, +aggressive camber.